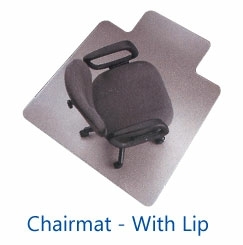 We supply a range of chairmats in various shapes, materials and sizes for use with your ergonomic office chair. With chairmats suitable for either hard floors or carpeted floors, we ensure the protection of your floor surface! 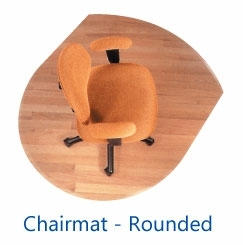 Why would I need a chairmat? Our chairmats protect your floor surface to ensure damage isn't caused by the chair castors. If you have a thick carpet, a chairmat will also provide ease when moving your chair around - preventing the carpet getting stuck in the castors. Hard floor or carpet chairmat?